Sweet peas! My favorite flower in the whole world! Glad I could “share.” Every spring I am reminded how very fond of them I am. So envious! Our regular peas are just poking their heads out now. Beautiful! While yours are just poking through, I am ripping mine out. All of our shell peas are already gone. 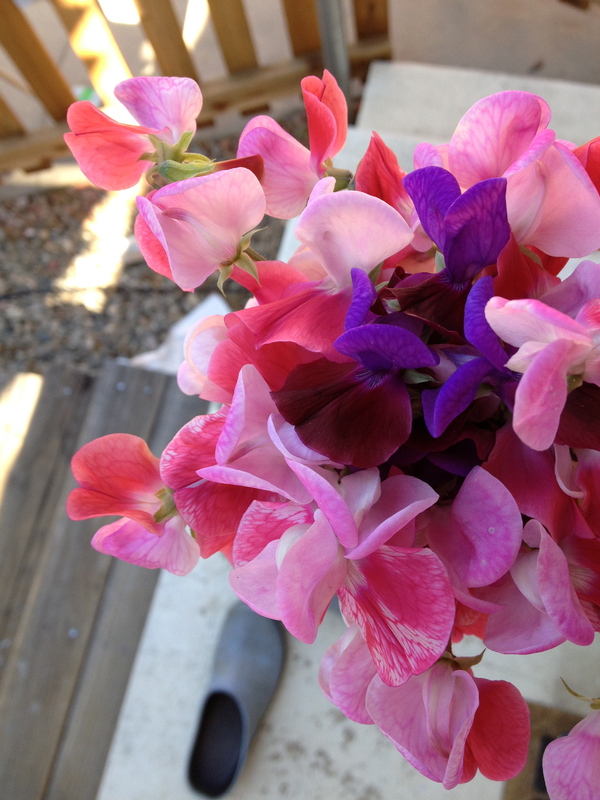 The sweet peas are near the end too, maybe another week, two if I am very lucky. They kind of have a short life here. The heat gets to them quickly!